Where to see your favorite 24 stars! Dennis Haysbert stars in "Reverie" Wednesdays on NBC. Leslie Hope is one of the stars of "Station 19" Thursdays at 9 on ABC. Penny Johnson Jerald (Sherry) appears in "The Orville" on FOX. Stephen Root (ex-Bill) appears in "Barry" on HBO and "The Ballad of Buster Scruggs" later this year on Netflix. He has 3 movies coming out and does voices in "The Epic Tales of Captain Underpants" on Netflix and "Dallas & Robo" on YouTube Red. He appears on "Last Call with Carson Daly" Wednesday 4/10 on NBC. Oded Fehr (Asim) has a recurring role on "How to Get Away With Murder" Thursdays on ABC. Katee Sackhoff (Dana) has a recurring role on "The Flash" on The CW. Glenn Morshower (Aaron) has a recurring role on "The Resident" Mondays on FOX. Reiko Aylesworth (ex-Michelle) stars in "The Other F Word" on Amazon. Reed Diamond (Jason) stars in the new series "The Purge" on USA Network. He guest-stars on "Hawaii Five-0" Friday, Jan. 18 on CBS. Marisol Nichols (Nadia) is one of the stars of the CW series "Riverdale." Bailey Chase (Thomas Locke) has several new movies coming out and appears in the History series "SIX" in the Spring. Jimmy Smits joins the cast this season of 'How to Get Away With Murder' on ABC. 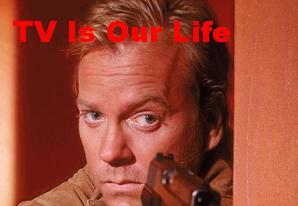 Kiefer Sutherland (Jack) stars in the hit series, "Designated Survivor" on ABC. D.B. Woodside (ex-Wayne Palmer) stars in "Lucifer" Mondays on FOX. Shohreh Aghdashloo appears in Syfy's "The Expanse" Tuesdays. Carlos Bernard (Tony) has a new series "The Inspectors" on CBS, airing Saturday mornings, about the postal inspectors. Dennis Haysbert (David Palmer) has stars in the new NBC series "Reverie" in 2018. James Morrison (Bill) has 4 new movies coming out in the next couple of years. Jean Smart (Martha) stars in "Legion" Wednesdays on FX. Peter MacNicol (Tom) appears regularly in "Veep" on HBO and does a voice in "Tangled" on Disney. Zachary Quinto (Adam) stars as Spock in the "Star Trek" movies and has a lot of other movies coming out. Lana Parrilla (Sarah) stars in "Once Upon a Time" on Fridays on ABC. Gina Torres (Julia, Day 3) appears in "Suits" on USA Network. Annie Wersching (ex-Renee) is one of the stars in the series "Bosch" on Amazon Prime. She has a recurring role on "Timeless" Mondays on NBC. Željko Ivanek (Drazen) stars in "Madame Secretary" on CBS. Roger R. Cross (Curtis) stars in the Canadian miniseries "Caught" on CBC and has several movies coming out. Rena Sofer (Marilyn) appears daily on "The Bold & The Beautiful" on CBS. Paul Blackthorne (Steven Saunders) stars in the CW show "Arrow". Janeane Garofalo appears in "Girlfriends' Guide to Divorce" on Bravo. David Anders (Josef) and Raphael Sbarge (Ray, Day 6) both have roles on ABC's "Once Upon a Time". Anders also stars in "iZombie" on The CW. Daniel Dae Kim (Tom Baker, Day 3) is filming the new movie "Hellboy." Xander Berkeley (George) appears in "The Walking Dead" on AMC and has several films coming out this year and next. Mykelti Williamson (Brian) appears in "Chicago PD" on NBC and has a few movies coming out.